Please allow me to contribute to the ongoing legal battle between Stanbic Zambia Limited and Savenda Management Services Limited over the K192.5 million which the bank has been ordered to pay the company for wrongly reporting it to the Credit Reference Bureau. I have just noted with renewed interest that Stanbic Bank Zambia Limited appears to be directing its frustrations at the Zambian Judiciary, by making veiled accusations that High Court and Supreme Court judges of have been bribed by Savenda in order to be getting favourable judgments. If you asked me, I find these insinuations most unfortunate for a bank that is not a stranger to court battles, a number of which it has lost before numerous judges not only in Zambia but also in other parts of Africa. My attention here is drawn to the case you recently reported in which Supreme Court judges Mumba Malila, Nigel Mutuna and Charles Kajimanga Stanbic ruled against Stanbic Bank after Chrismar Hotel had appealed a High Court judgment that had gone in favour of the bank. Is the bank telling us that these three judges were also bribed? Who by? By Chrismar? By Savenda? We are aware that Stanbic Bank Zambia’s appeal against High Court judge Justin Chashi’s ruling that awarded Savenda damages is coming up this week in the Court of Appeal. What the bank should do is to wait for its day in the Court of Appeal instead of disparaging the same judges before which it expects the delivery of justice. Justice should not only be seen to be justice when it comes our way while calling it injustice when it goes the other way. Trying to vilify Judge Chashi’s character for ruling in favour of Savenda will not help repair Stanbic Bank’s dented image when it comes to the way it has been dealing with its valued customers. I even wonder why the damages awarded to Savenda were not adjusted higher than K192.5 million. For me, a higher figure would have acted as a deterrent measure against other creditors who take their clients for granted by maliciously reporting them to the Credit Reference Bureau (CRB). From my understanding, a Credit Reference Bureau is a collection agency that gathers account information from various creditors and provides that for credit rating as a basis for loan acquisition. In this regard, one’s eligibility to access or not to access a loan is dependent on the information so provided to a CRB by a creditor. That is why caution must be taken before a client is placed on the CRB listing. Throwing caution to the wind can lead to disastrous effect on various businesses. Where a bank is found guilty of having negligently placed a client on the CRB listing, the punishment should be so severe that such a bank does not repeat similar behaviour on other clients. It is on this point that I’m in total agreement with Judge Justin Chashi’s view that, in reporting Savenda to the CRB, leading to the company’s loss of business, Stanbic Bank acted “culpably careless”. To show further disregard to the Judiciary, Stanbic Bank has even ignored Judge Chashi’s order that it should remove Savenda from the CRB listing, as if to prove the malice behind its actions. How does a bank show so much insolence to the Judiciary! It is so shameful! Reading from the comments posted by your readers in your last article, it appears the bank has made it a habit to shortchange its clients. But it is hardly surprising, given Stanbic Bank’s history in other African countries. The bank is not new to such scandalous conduct, and records are there to prove this. Just allow me to refer to a matter in November 2015 in which the Crown Court of Southwark in London found Stanbic Bank Tanzania’s sister company, Standard Bank Plc (now known as ICBC Standard Bank Plc) guilty of failing to prevent the committing of bribery. In case number U20150854 between Tanzania’s Serious Frauds Office (SFO) and Standard Bank Plc brought before the president of the Queen’s Bench Division, Sir Brian Leveson, it was ordered that the bank pay the Tanzanian government US$6 million in compensation plus interest in US$1,046,196.58. That was in addition to a financial penalty of US$16.8 million, disgorgement of profit amounting to US$8.4 million and payment of costs incurred by the SFO in the investigations to a tune of 330, 000 British Pounds Sterling. This settlement was arrived upon through a Deferred Prosecution Agreement (DPA), a mechanism whereby a body corporate, a partnership or an unincorporated association can avoid prosecution for certain economic or financial offences by entering into an agreement on negotiated terms with a prosecutor. So, to avoid prosecution, which could have exposed Stanbic Bank’s activities to the public, it settled for a DPA. The background to this case is that in 2012, the Tanzanian government wished to raise funds through a sovereign note private placement. 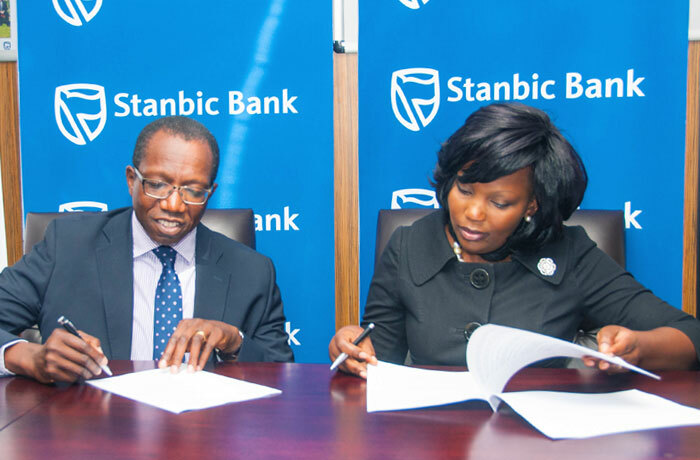 The mandate to do so was placed with Standard Bank Plc and Stanbic Bank Tanzania. A Tanzanian company, Enterprise Growth Market Advisors Limited (EGMA) was thus engaged to help with the negotiations, after which it would be paid one percent of the funds raised. Subsequently, US$600 million was raised but there was no evidence that EGMA had provided any services. Meanwhile, EGMA had opened a bank account with Stanbic Tanzania and its fee of US$6 million was paid as agreed. Shortly afterwards, the vast majority of the sum had been withdrawn in cash, attracting the concern of members of staff. Within three weeks, the Serious and Organised Crime Agency and the SFO were informed of Stanbic’s bribery scandal, leading to the punishment I have outlined above. Could this surely be said to be conspiracy against Stanbic Bank? Why are there no similar complaints and judgments against other banks? It is high time Stanbic Bank faced reality.